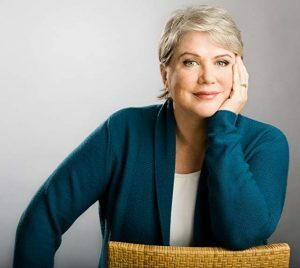 Join us April 9 for an evening of humor, education and powerful discussion with former Saturday Night Live star Julia Sweeney as she shares her journey, from caregiver of her brother, to cancer survivor. Moderated by Ron and Elise Magers, hear how understanding a loved one’s wishes and advance care planning can be life-changing. Tickets: $25 each. Includes hors d’oeuvres, refreshments and parking. Life is a Journey is a community education series hosted by JourneyCare. Our first “Life is a Journey” educational event attracted more than 200 people interested in learning about Advance Care Planning. Life is a Journey focused on encouraging participants to complete advance care planning – have conversations about unexpected and difficult healthcare challenges they could face. Dr. Lucy Kalanithi, author of the epilogue to her husband’s #1 bestselling book “When Breath Becomes Air” was the featured speaker. Former ABC-7 TV news anchor Ron Magers and his wife, Elise, who is a JourneyCare Board Member, moderated the event.